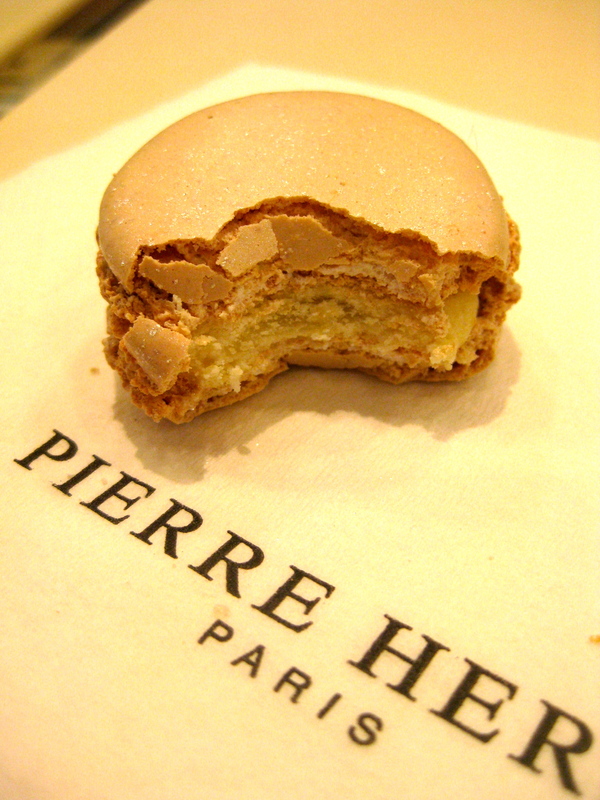 My Australian readers might not be familiar with the name Pierre Herme…we’re a little behind on the food front, besides the elusive Frenchman only has stores in France, England and Japan. 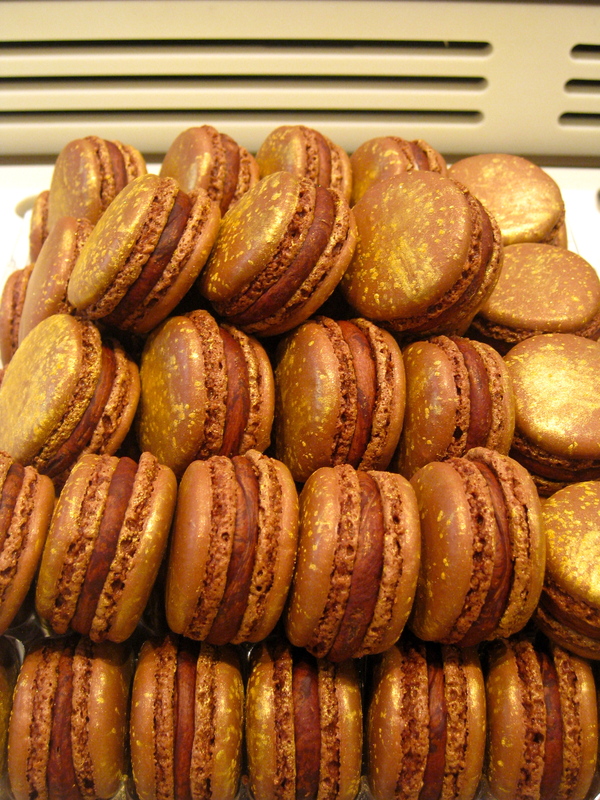 We might know him as the Master of Macarons but Pierre is known in France as legendary pastry chef with four generations of skill behind him. 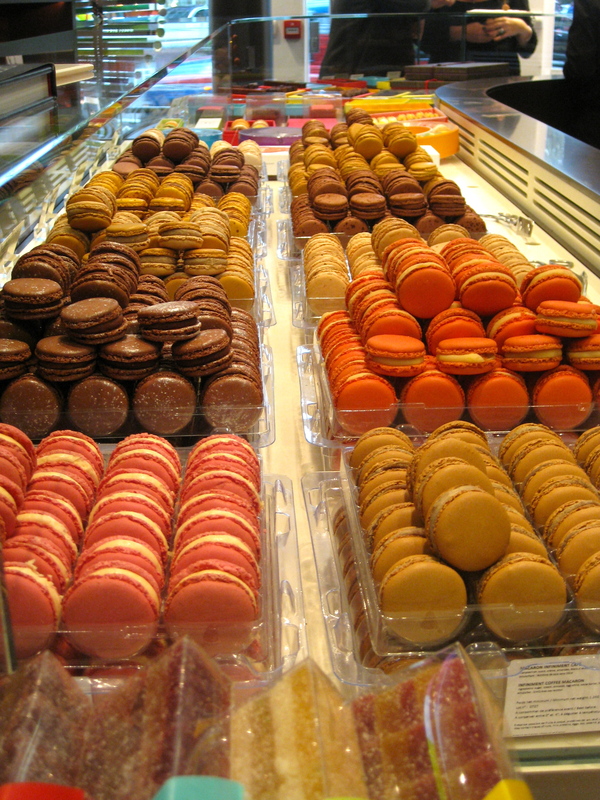 He was involved in the expansion of Laduree, another famous name in macarons and makes chocolates and cakes to die for. He is world renowned for his pastry and chocolate genius. It was pretty cool to meet him today. I asked him what his favourite is and he said his products are like his children, you can’t pick a favourite. When asked about his inspiration, he said it comes from all over the place (spoken like any true artist)…from his mother’s rose hip jam to a saffron and licorice risotto he ate at a restaurant recently. I was lucky enough to attend a little soire in his Belgravia store today for the launch of his Macarons cook book which has finally been translated into English. I sampled the classics and the seasonal delicacies on offer at the only boutique in London (aside from the stall in Selfridges). I tried a good deal of those with my favourites being the Creme Brule and Mogador. The rose petal macaron was so delicate and delightful and apparently their best seller! I also tried some of the new season’s flavours like Truffle Blanche Noisette (white truffle, roasted piedmont, hazelnut slivers) Americano Pamplemousse (Orange, Campari, candied grapefruit) and Infiniment Cassis (blackcurrant & blackcurrant berries). Pierre is famous for getting saucy with his flavour combinations. Not all were on my wish list, like the white truffle for example. Call my palate ignorant but I just couldn’t dig it, it confused my brain just too much. But the orange and Campari flavour was one of my favourites with a bitter aftermath reminiscent of marmalade. Needless to say I was all macaroned out and felt a little ill as I rode the bus home. As ever, my Foodepedia experience was a worthwhile one. I met a nice girl from Hong Kong (Hi Tina!) and a lovely lady who wrote a book about chocolate, that I really should check out, Chocolate Unwrapped. Not only that but she (her name is Sarah) is one of only 257 people ever to be awarded a Master of Wine since 1953 and wrote for the BBC Good Food magazine for 10 years. Pretty impressive, I’m meeting some wonderfully talented and interesting people on my journeys. And eating my way around London.